Yep, it's fawn season again! So, is it the same fawn, or another one? Based on the spots that I can see, I think it's the same one. It's not the best hiding place, that's for sure. This is the best part of living with deer! 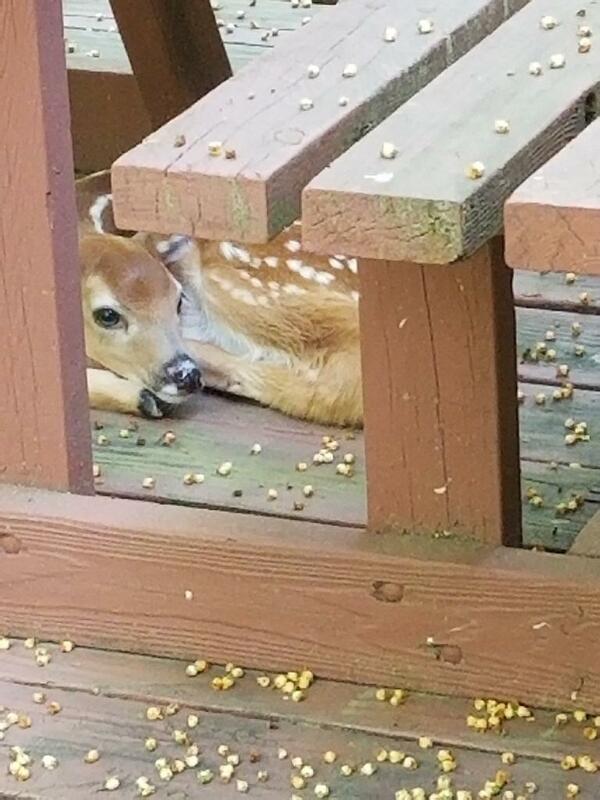 My other neighbor texted me the day after that and said that he had a fawn hiding in his yard too. So how many are there? I'll keep an eye out. Your surprises are always a treat.Fawns! I wonder if it is the same doe from past years, feeling your yard and neighborhood are safe places for a care spot. Adorable little one. What a sweet surprise.